Brand: Made for Success, Inc. and Blackstone Audio, Inc.
Do you have a much-loved dog? Are you expecting or trying for a baby? Does your dog know? Do you want to learn how to prepare your dog for the new addition? Tell Your Dog You're Pregnant offers a practical, intuitive approach for creating a loving bond between your dog and your new baby. Dr. Kirkham has packed this book full of information, helpful tips, and the latest behavioral knowledge. 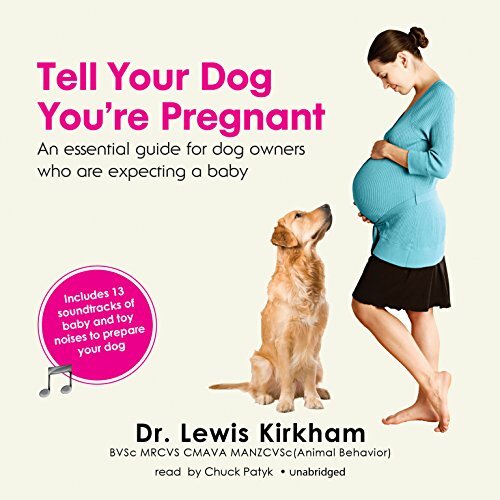 It is essential listening for any dog-owning family who is expecting a baby - your dog and baby's future relationship may depend on it. Know when you need professional assistance. A baby makes many different noises, and your dog needs to be familiar with new sounds ranging from crying to giggling, sneezing to splashing in the bath, as well as all those noisy toys. Prepare your dog for these new sounds with this step-by-step guide and free downloadable soundtracks. Manufacturer: Made for Success, Inc. and Blackstone Audio, Inc. Studio: Made for Success, Inc. and Blackstone Audio, Inc. If you have any questions about this product by Made for Success, Inc. and Blackstone Audio, Inc., contact us by completing and submitting the form below. If you are looking for a specif part number, please include it with your message.